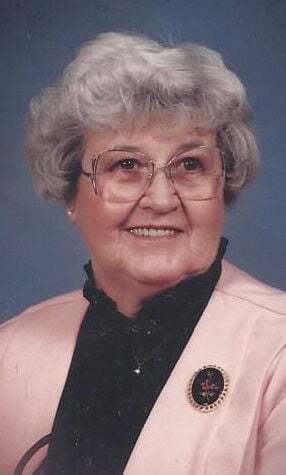 PARK HILLS -- Betty Irene (Banks) Keeler passed away April 12, 2019, at her home in Park Hills, Missouri, at the age of 94. Betty was a member of Esther Baptist Church; and was teacher and librarian at Potosi Elementary School. She loved being around family telling of family history, reading, and traveling. Betty was a member of Eastern Star and past president of the retired teachers association. She was preceded in death by her parents, Leroy Joseph and Maude (Turner) Banks; sister, Ermalee Dunlap; husband, Harry Keeler Sr.; and Wilford Kethcherside from a previous marriage. Betty is survived by two daughters, Marilyn Ketcherside of Park Hills, Missouri, and Rebecca Ketcherside and spouse Susan Jellinger of Des Moines, Iowa; wonderful nieces and nephew also survive. Her family would like to thank her niece, Gloria Loughary, for all her help and support in being able to keep mother at home, and want to thank Safe Harbor Hospice for their wonderful care and support. Visitation will be 1 p.m. until time of funeral service at 3 p.m. Wednesday, April 17, 2019, at Horton-Wampler Funeral Home in Park Hills. Burial at Leadwood Cemetery.